So, just in case other methods of communication have failed to reach anyone reading here . . . We can confirm that, as we say in this household, Christi's "making fingers". Which explains why she's been more than usually tired. This time around we're taking the "making fingers" meme to heart, and calling the little tyke Fingers until they arrive (hopefully sometime in December). 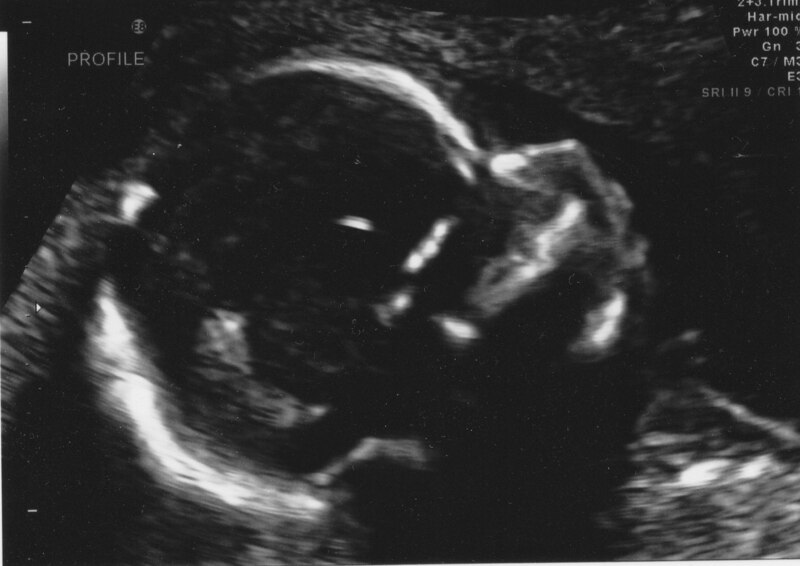 We're also not planning to find out if Fingers is a boy or girl, until that time. Actually, to be quite specific, I think we saw some fingers - or at least hands - although we don't have a printout of such an image. Also (in addition to the head above) arms, legs, feet, spine, chest, and a bunch of internal organs. Everything looked great. Margot is interested and excited, although I don't think she has any idea when December is.